After two very slow weeks of permitting in Ohio's Utica shale, the latest weekly update from the Ohio Department of Natural Resources shows that activity picked up just a hair last week. 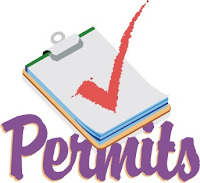 Eight new permits were issued in the week ending Saturday the 27th. While that level of activity is still much lower than when the play was peaking several months ago, it represents a slight uptick from the previous two weeks, which saw only 9 total permits issued. The activity was mostly focused in Harrison County, which continues to be the most active spot for permitting over the past month or so. Six of the eight permits last week were for Harrison County wells, with four of those going to Hess for their Cadiz D Unit. The remaining two permits on the report were issued to Chesapeake Energy for a unit in Carroll County's Orange Township. The number of total permits issued continues to slowly move towards the next big milestone marker, 2,000. There are now 1,943 permits issued. In addition, 1,520 wells have been drilled and 909 are producing. The Utica rig count nudged up by one for the second straight week, and now stands at 20.